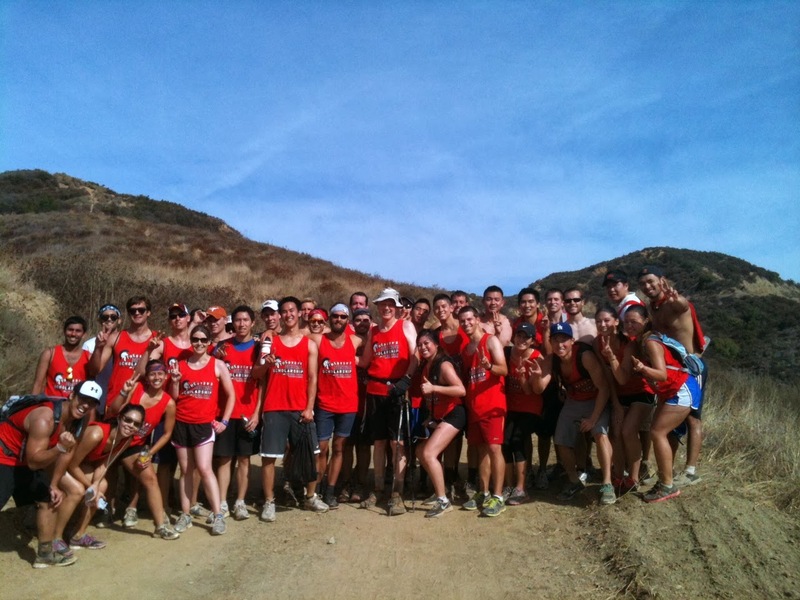 The Second Annual Student Hiking Scholarship occurred on October 5th, 2012, at Black Star Canyon just east of Irvine Lake. 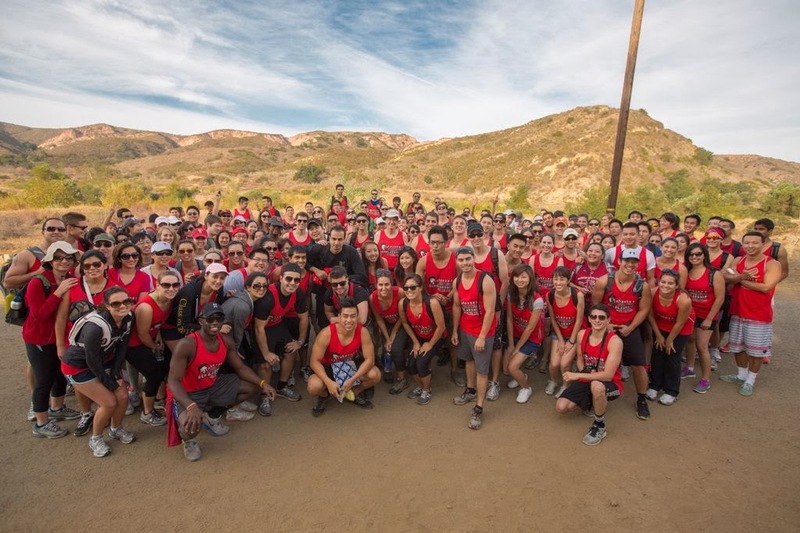 One hundred forty one enthusiastic students from the Ostrow School of Dentistry of USC showed up to compete in the 20 kilometer (12.4 mile) event. 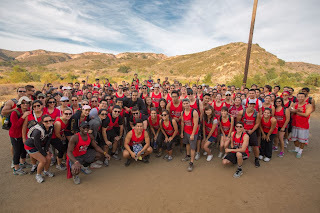 USC School of Dentistry Alumnus David Eggleston, DDS, sponsored the event raising $28,500 for student scholarships. Each student participating received one share of the funds and the students beating Dr. Eggleston in a 10K race to the top received two shares. Twenty seven students were in the winners’ circle. In addition, all the students participated in a drawing for a total of $5,000 in store credits at Patterson Dental Supply Co.
Dr. Eggleston commented he received help and encouragement from USC Alumni when he was a student and this is his way of passing it on. 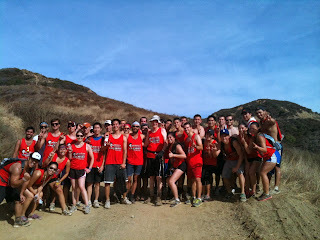 In reality, all of the students were winners with a perfect outdoor day of camaraderie. The leisurely 10K hike back down the trail was a social event with students from the four classes able to mingle and get to know each other. First-year students commented how great it was to spend time with fourth-year students in such a relaxed atmosphere. Student organizer Andrew Vo DDS ’15 said last year it was great to get insights from upperclassmen, like which clubs to get involved with, how to balance school, tips on how to study, and ways to improve clinical work, all while having fun. This year, Andrew said it was even better with many more students participating. After the hike, the students were treated to a picnic. Laraine Eggleston, Kate Eastman, Kathy & Michael Gahagan, DDS, Gary Carlsen, DDS, Vincent Faggella, Elizabeth del Hagen, and members of Dr. Eggleston’s staff passed out hundreds of sandwiches and treats to the students. In a related note: Each year, USC dental students, faculty and staff provide humanitarian dental care in underserved areas in the World. The students provide much needed dentistry under the guidance and supervision of the USC Faculty. However, the students are required to pay their own transportation. Last April, funds from the Hiking Scholarship enabled a delighted senior dental student to provide care to the wonderful people in a remote part of Columbia.